Create the perfect spa space in your garden. Whilst you may have to make some slight adjustments to allow for the inclement weather you can still maximise on the time you spend in your garden or patio area. Your home is a place of relaxation, your private sanctuary where you can enjoy quality time with friends and family, so why not create a space that you can use all year round with features that everyone can enjoy. 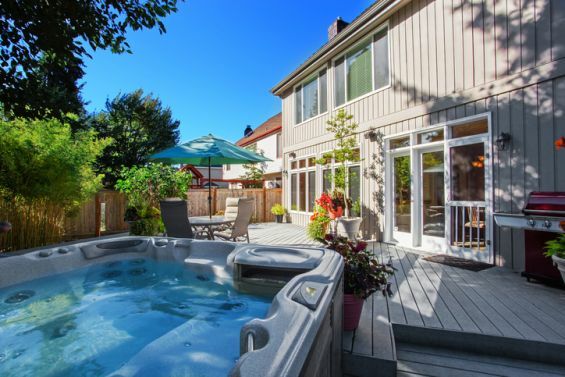 There is one outdoor luxury item that many of us desire for its soothing and social aspects, the classic hot tub. This machine is typically known for its warmth and pleasuring pulsating jets that gently massage the body making you feel tranquil and peaceful. Adding this to your outdoor space not only enriches your lifestyle but also comes with many added health benefits from relieving stress and anxiety to providing younger looking skin. This isn’t a product that you should just simply put in the corner of your garden because it will only be forgotten when the colder months come around. 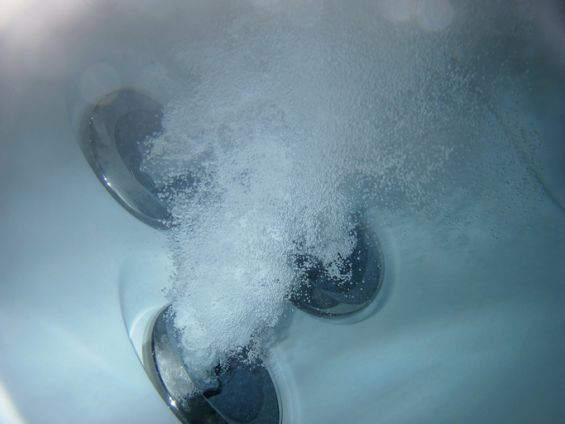 To get the most out of a hot tub you need to be able to design a calming space around it so that it gives off an inviting welcome that will make you not want to leave. In order to use a bubbling hot tub all year round and improve your lifestyle you need to be able to create a space that provides shelter, ambient lighting, privacy and extra warmth. 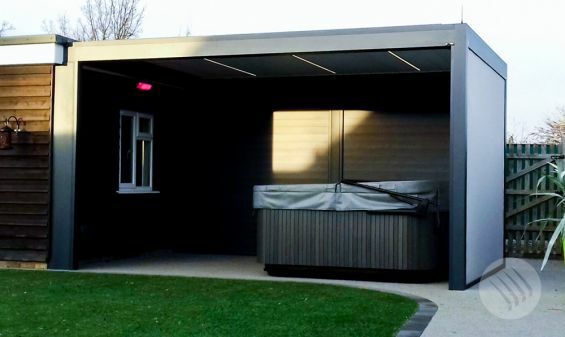 Our innovative Outdoor Living Pods™ are a popular choice amongst our hot tub loving clients as they create the ultimate shelter without losing the ‘alfresco’ feeling. Consisting of electronically operated louvers, you can rotate at the touch of a button and stop them at the desired position to provide precise control of the amount of sun light that enters the space below along with ventilation from heat build up beneath. And when the weather turns wet, in less than 30 seconds the roof louvers rotate closed, locking together to provide a watertight shelter to keep you nice and dry. And with optional extras including side screens, heaters and lighting, you can create the perfect atmosphere to enjoy your hot tub irrespective of the weather.